Browning's ruling settles a lawsuit filed by Arlene Harjo in 2016 against the city for unlawfully seizing her car after her son drove it while intoxicated. The confiscation followed the New Mexico state legislature's groundbreaking civil forfeiture ban in 2015 after the nonprofit Institute for Justice uncovered videos allegedly showing city attorneys participating in "police for profit" schemes. Law enforcement officials continued to seize vehicles despite the landmark ruling. Harjo became an IJ client in August 2016 and filed legal action against the city, asserting it violated the 2015 state law and legal precedent under the Constitution. "I'm glad this is going to help people in the same situation," Harjo said. "It's totally wrong what the government is doing. Hopefully now more people will fight back, and courts will say this has to stop." Harjo's vehicle was returned to her by the city of Albuquerque in December 2016 when officials realized the car was seized outside city limits. She continued the legal battle, however. In March the city announced it would end its civil forfeiture program, but the institute said the legal judgment was necessary to deter other municipalities from implementing similar property seizing schemes. "Civil forfeiture is one of the most serious assaults on private property rights in the nation today,"said IJ senior attorney Robert Frommer. "For decades, civil forfeiture has lured officials away from impartial enforcement of the law and toward policing for profit." 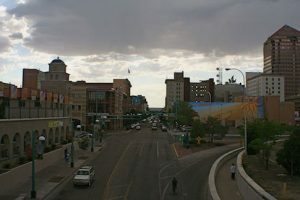 Albuquerque mayor Tim Keller announced in March the city would upgrade its vehicle-seizure program by adhering to state law and only confiscating vehicles from owners facing convictions. Keller’s office responded to Monday’s ruling with a statement saying, "This ruling confirms our concerns with the past approach and the need to protect the constitutional rights of people in our community." Alicia Manzano, Keller's communications director, also said Albuquerque's legal department would examine the verdict's impact on the city as well as increase the number of traffic stops and DWI checkpoints to curb drunk-driving incidents. The institute, which has filed similar lawsuits in other cities, said the legal victory should cause lawmakers to revisit their law enforcement and civil asset forfeiture as a law enforcement tool and revenue stream. Frommer is hopeful Judge Browning's jurisprudence will extend to other federal courts. "Today's ruling … is a major step towards ending forfeiture not only across New Mexico, but throughout the United States," he said.